For the second week in a row I have had a horrible Tuesday commute. Last Tuesday it was Pothole Problems that caused an almost two hour commute to work. The map above illustrates how a large number of roads flow into the 580 funnel. If the funnel gets even partially blocked then it can lead to a horrible commute. This morning it took me more than two and a half hours to travel about 12 miles to where a truck had caught on fire in the early morning hours. 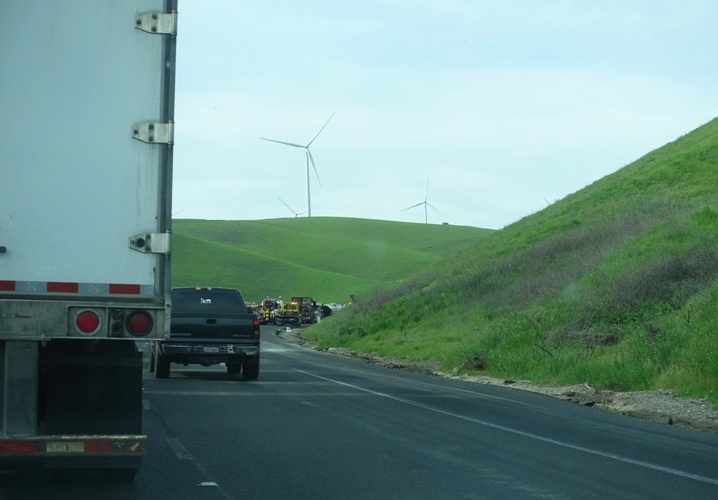 For regular Altamont commuters, you know right where this is, about a mile from the summit. 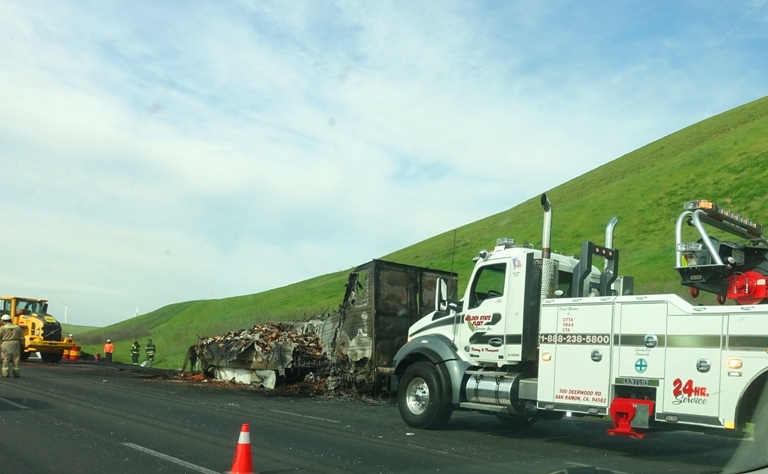 Here you can see the truck that was on fire. The fire had consumed most of the trailer and the contents. I found out that the truck was carrying salami and bacon. I thought about clever titles like “Burnt Bacon Breakfast Commute”, but decided not to use any of them. Here is a closer look at the trailer. You can see that there is still some smoke coming off of the trailer. You may have noticed that the trailer did not have a cab in the previous pictures. Here it is already loaded on a flatbed trailer. It pretty much burnt to the ground. Luckily the driver escaped the truck without injury. When I went past two lanes were blocked and it wasn’t until the afternoon when one of them opened. I am hoping that all will be clear in the morning. The last 14 miles of my commute took only about 15-20 minutes, and thankfully traffic on the way home was not bad at all. Hoping for a nicer commute tomorrow morning. 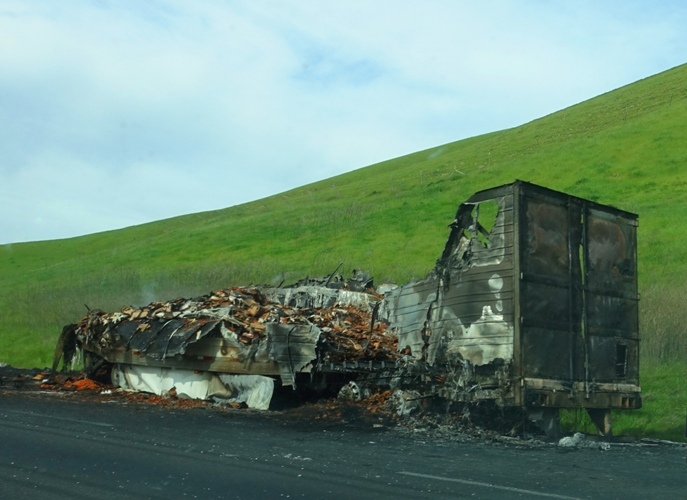 This entry was posted in California, Local, transportation and tagged altamont, Bacon, Burnt Bacon, Commute, Traffic, Truck Fire. Bookmark the permalink.